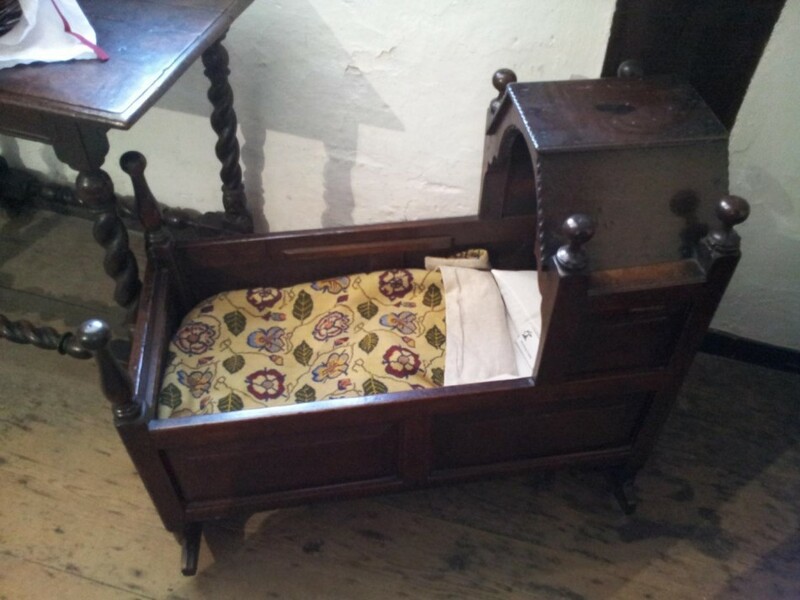 Here are some beds from the 17th Century, click on the next and previous buttons to see more. 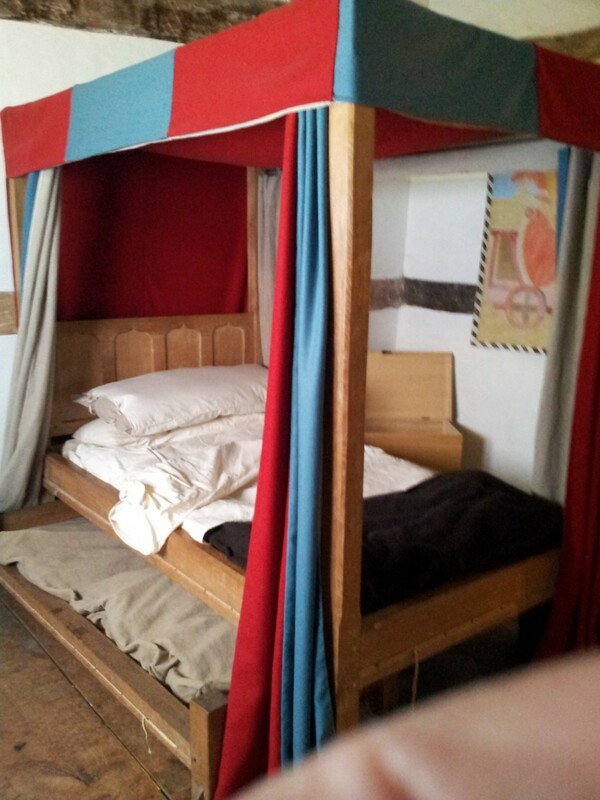 A posted bed with 4 posts with a wooden canopy or ceiling.The coffer at the foot of the bed was for the linen. 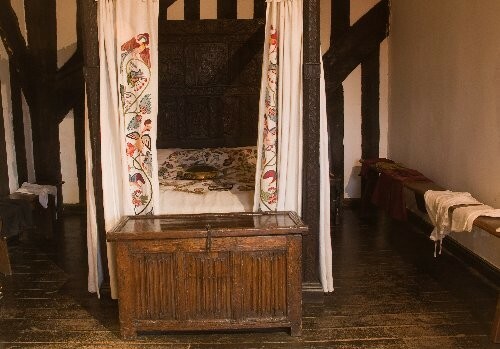 A grander bed with hand embroidered crewel work curtains.the beds often had 2 mattresses ,made of feather, flock or in poorer cases straw. 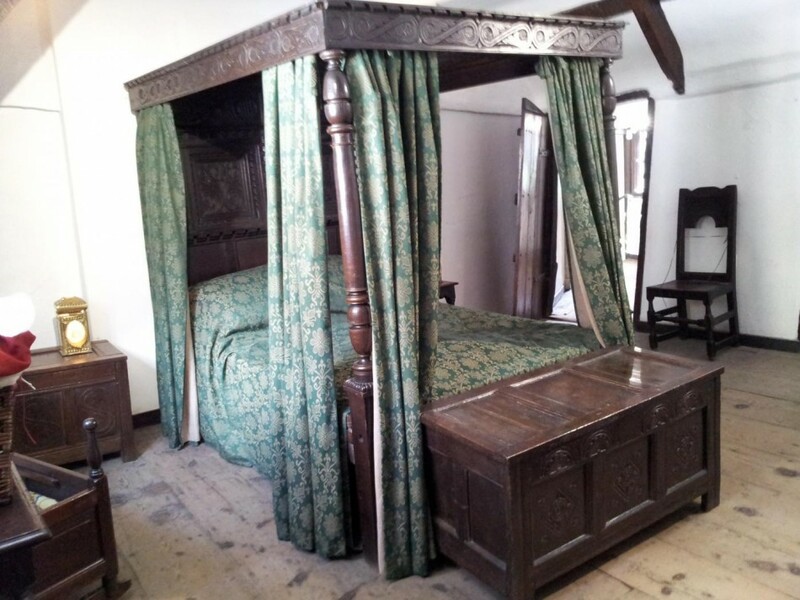 The ceiled bed arrived in the early 16th century. The headboard was called the tester. 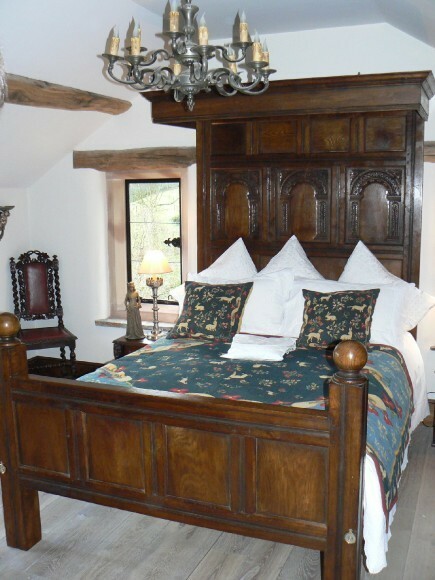 A boarded bed usual implication of the term is of a second or third rate bed.Boarded bedsteads do not usually have testers or canopies. 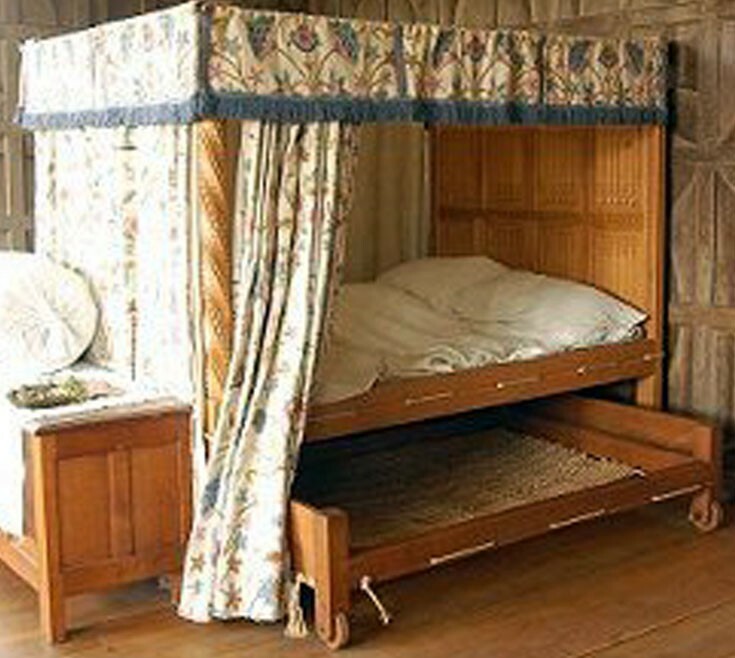 A half headed bed with canopy covering only the top half of bed. 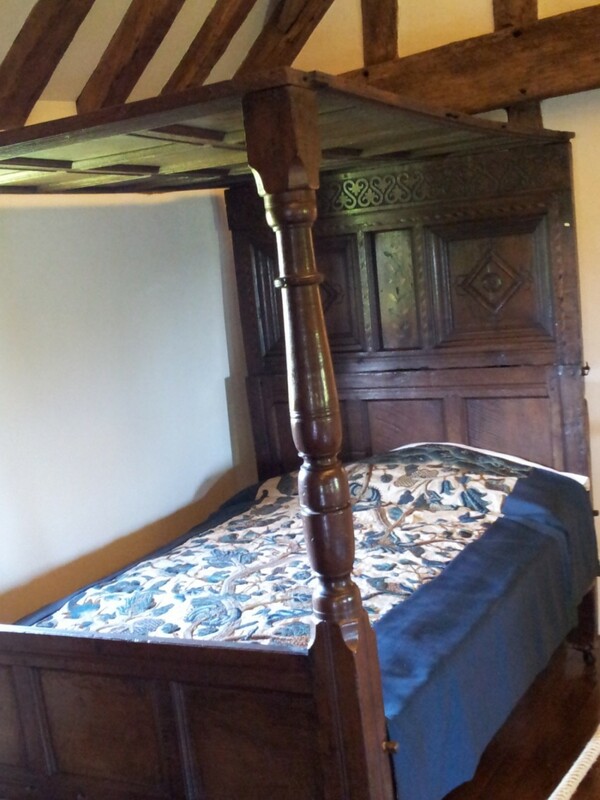 A posted corded bed with a truckle in a wealthy household.It has 5 curtains and a valence. Bed cords trussed between holes in the bed frame to support the mattresses.The cords could be tightened to give better support which led to the saying " Goodnight, sleep tight." 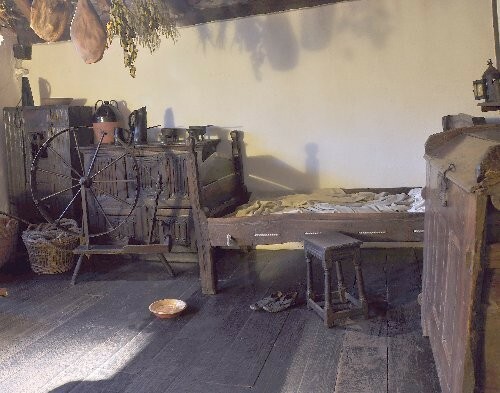 A valence and canopy bed with a truckle bed in a poor household.The small truckle bed was usually for children or servants. 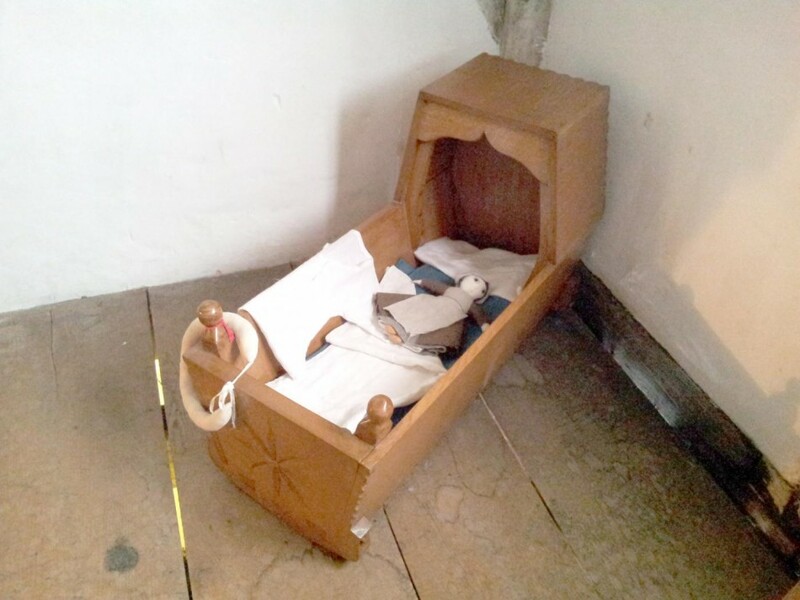 A small child's bed without rockers. 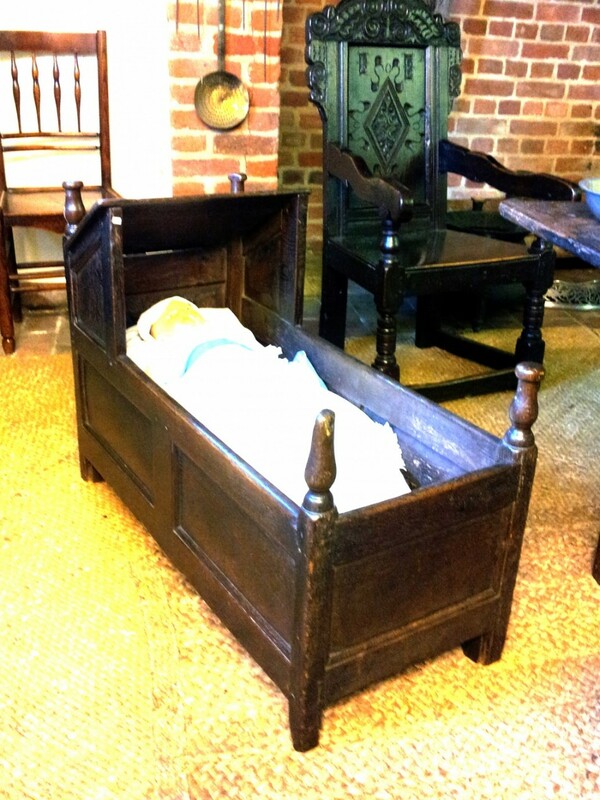 Rocking cradles were made until Queen Anne's time, when the older suspended cot was again reverted to. 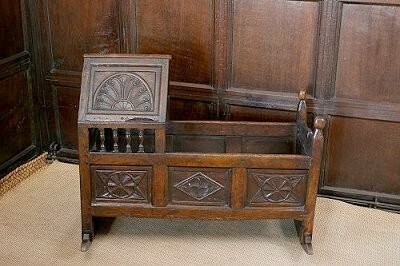 An elaborate carved rocking cradle.